The Diocese of Tagbilaran is now mourning the death of two Boholano Church leaders, Bishop Zacarias Jimenez and Fr. Panfilo Somosot who both passed away on Thursday morning. Jimenez, parish priest of the Our Mother of Perpetual Help Parish, died at the age of 70 in Butuan City while Somosot passed away at the age of 91 at the Holy Name University Hospital in Tagbilaran City. Tagbilaran Bishop Abet Uy, in a Facebook post, confirmed Jimenez’s death, noting that the prelate died of acute respiratory failure. According to Tagbilaran diocese chancellor Fr. Algerio Paña, Jimenez was discharged from the hospital on Sunday after suffering his second stroke. Jimenez however suffered another attack this morning and was no longer able to recover, Paña said. 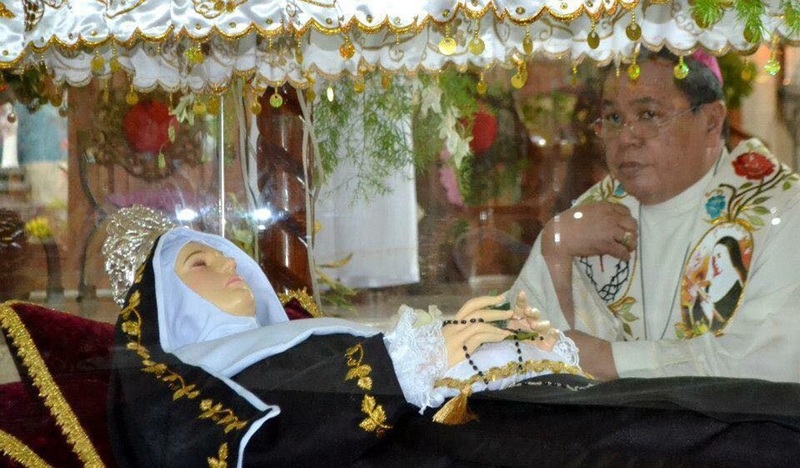 The bishop’s remains will be transported from Butuan City to Bohol on Saturday and will be displayed at the St. Joseph’s Cathedral in Tagbilaran City. Somosot’s remains, meanwhile, are now at the Cathedral. Based on the database of Catholic Bishops’ Conference of the Philippines, Jimenez was born in Inabanga in 1948. He was ordained as priest at the Cathedral in Tagbilaran City in 1973 and as bishop at the St. Peter’s Basilica in Rome, Italy in 1995.